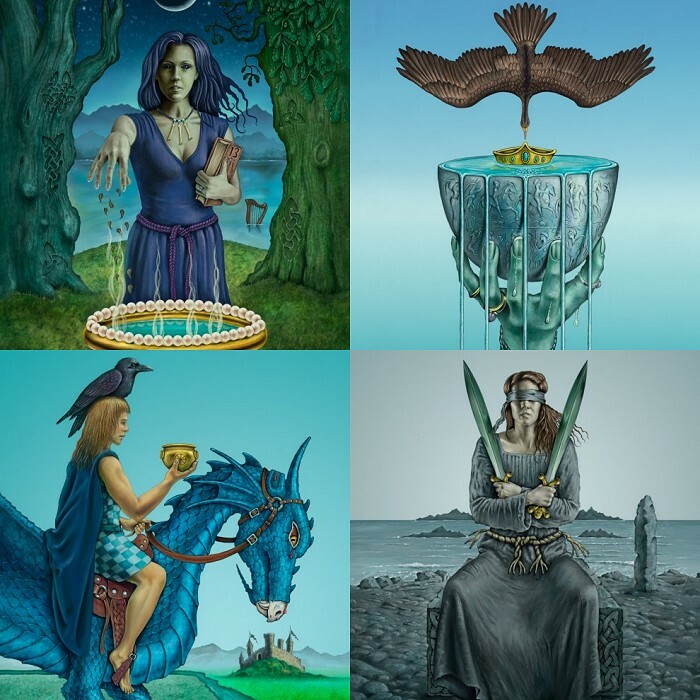 Home / News/Blog / Celtic Tarot prints – when cards are not enough! Not content with publishing Chris Down’s wonderful Tarot illustrations, we’ve made a number of them available as prints too! A slightly different selection from the cards, his work looks even better larger and mounted! Our mounted (matted) prints are produced on quality fine art paper (Innova FibaPrint 300gsm), using professional Epson printers and archival inks for longevity. They’re also hand-assembled, using quality, archival mount board with a neutral-ph non-acidic core, which will keep its colour for the lifetime of the board. Finally, they’re enclosed in a clear presentation bag, which really shows them at their best.